Last night. My 2-foot (the one with no fur on the top of his head) was on the computer, and he was talking so some other 2-foot who was in a place called Denmark, and THEY WERE REALLY TALKING! not just typing. They could see each other, and hear each other, it was AMAZING. Anyway..... 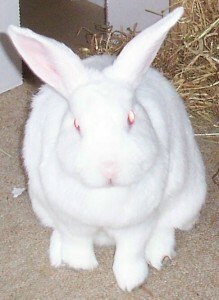 This other 2-foot is owned by a Bun called Bob. Now Bob has his priorities right, he was demanding attention from his 2-foot all the time when she was talking to mine... Anyway, while they were both distracted, Bob & I had a chat. I'm not sure I would like Denmark, as most people there speak a different language. Bob speaks good English though, because he used to have a pet 2-foot that was American. 2. What language do they speak in Leeds? 4. Why do the 2-foots need to speak different languages anyway? Oh gosh, we have never heard of Denmark either, please do let us know when you find out more information. Although we do have a question, in Denmark and, or Leeds do they have nice food to eat?